learn more about the functions and services. find out what is availabile with my vehicle. 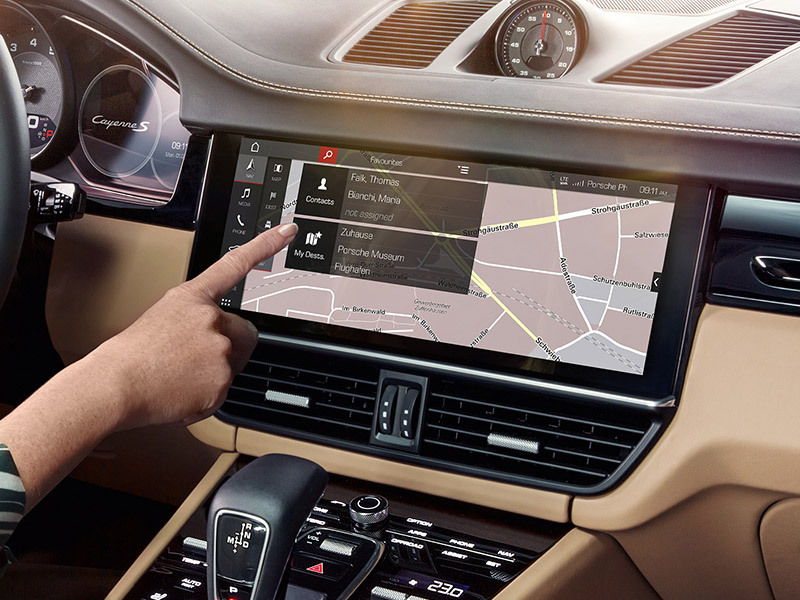 Firmly on the road, connected to the world: with Porsche Connect you are always on the move in digital terms. Real-time traffic data and details about your destination, always get the most up-to-date information in your navigation system. 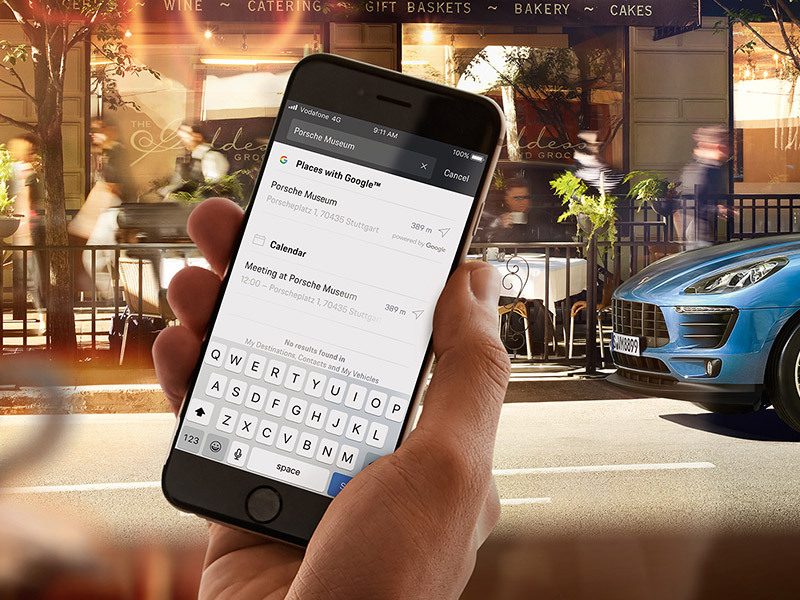 Porsche Connect constantly monitors your vehicle and enables you to call directly for help in an event of vehicle breakdown. 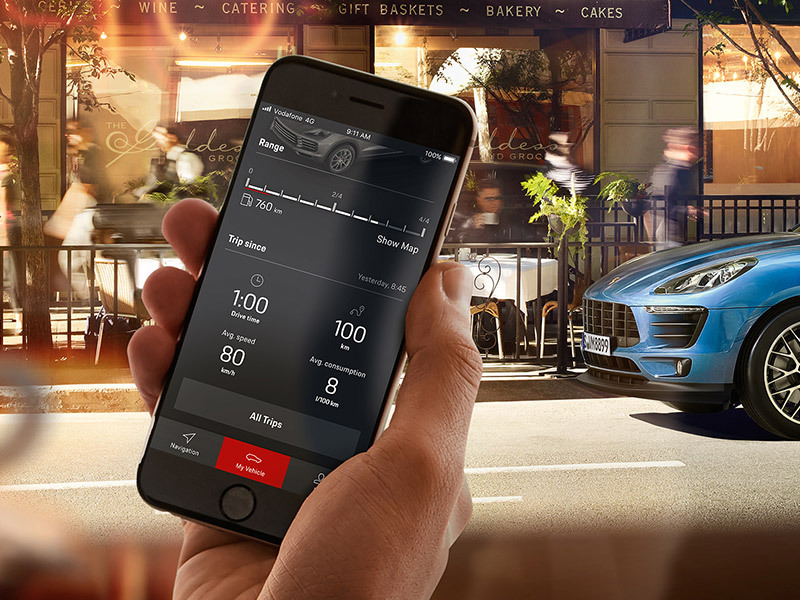 Moreover, Porsche Connect allows you to access current data from the internet right at the wheel of your sports car – managed by voice control. 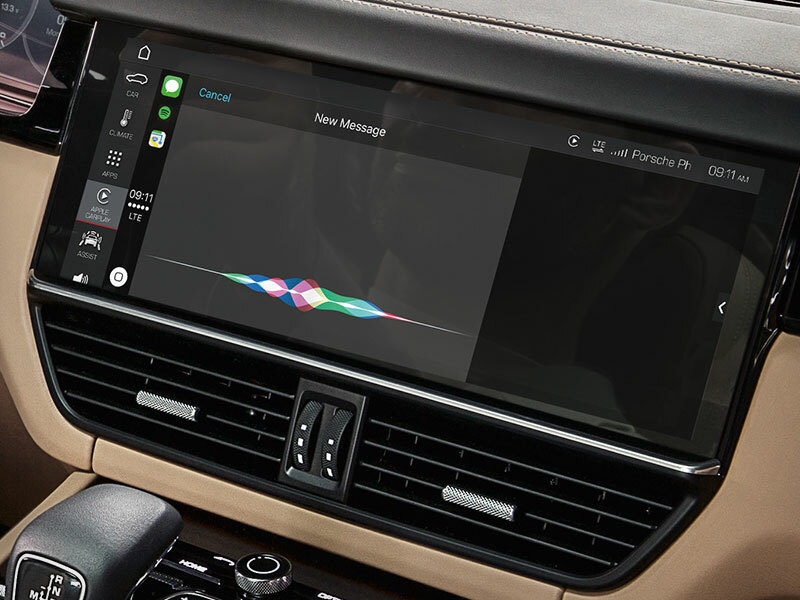 Bring your own personal content from your smartphone or My Porsche into your vehicle or simply control it from a distance. 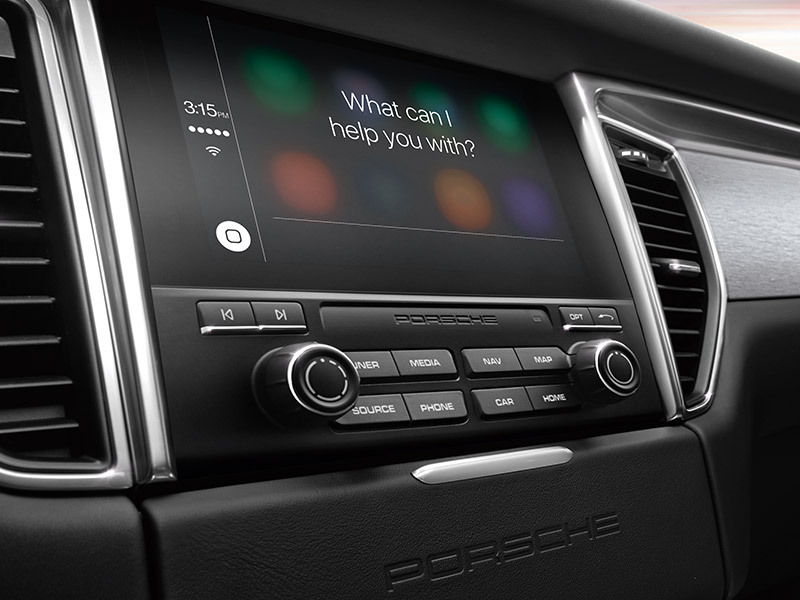 Whether before, during or after the journey: Porsche Connect is your versatile digital co-pilot. Overseas models shown. Some Porsche Connect features may not be available in Australia. Please refer to the availability overview at the bottom of this page for further information about the current services offering per model line in Australia. The weekend. Where is it going? On the road, of course. Thanks to Radio Plus, the musical accompaniment is constantly ensured. Radio Plus lets you switch between FM and DAB reception, or Internet Radio. Arrived relaxed at home. 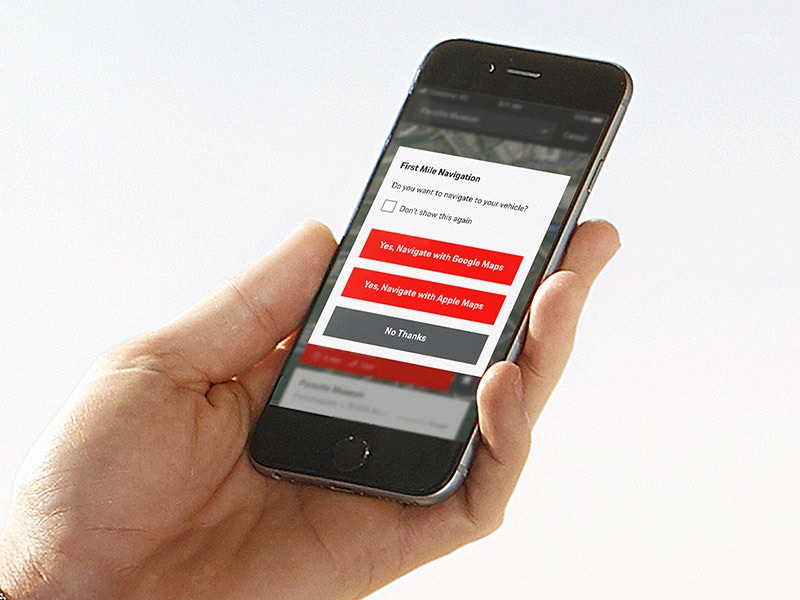 Even if something unexpected happens: Should you find yourself stuck, you can make a breakdown call via the Porsche Connect App. The Navigation & Infotainment services are provided with a free inclusive period of 12 months. Additionally an integrated SIM-card with free data volume to use the services is included in the price. The Navigation and Infotainment Package is included free of charge for a 12 months period. After this period, the service can be purchased on a subscription basis. 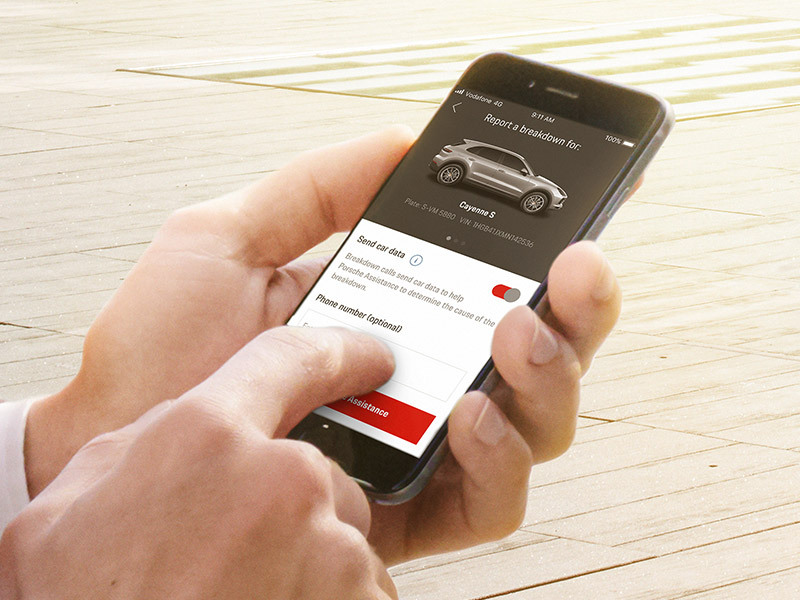 The use of Porsche Connect Services requires a data-enabled SIM card. 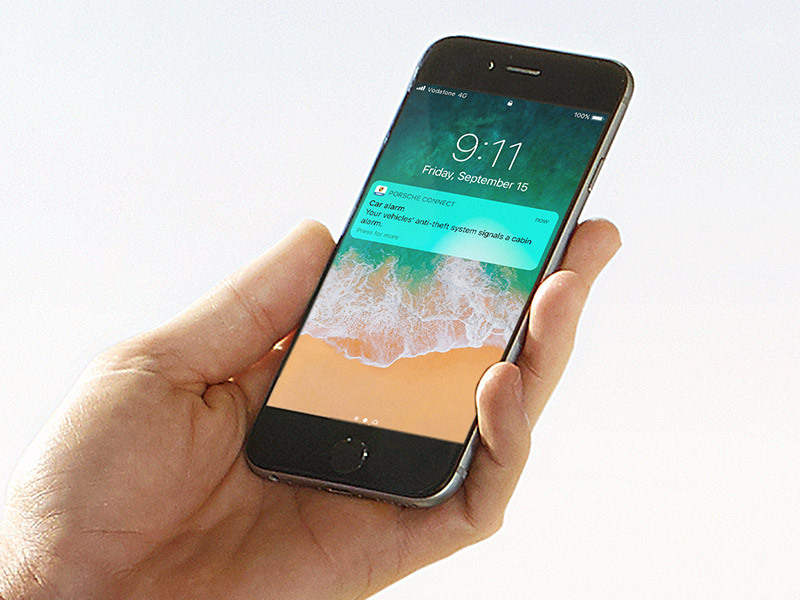 For this purpose, a separate fee-based service contract with a mobile phone provider must be held or purchased. To use the Navigation & Infotainment Package and to have access to the WiFi hotspot you need to use your own SIM card to establish a data connection. Further information on the free inclusive periods as well as the follow-on cost and availability of individual services is available at your local Porsche Centre. The Breakdown Call service included in Connect Plus is available for 10 years starting with the vehicle production date. 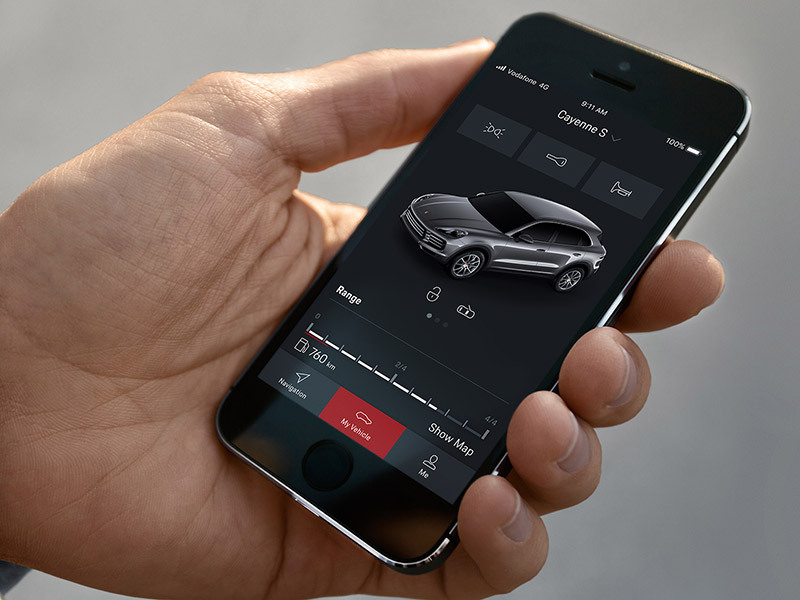 The Offroad Precision App is only available for the new Macan and the new Cayenne models. The equipment option compass is required to use the app. The new Porsche Track Precision app is available for all Boxster, Cayman and 911 models, as well as for all GT cars with model improvements from CW45/2016. 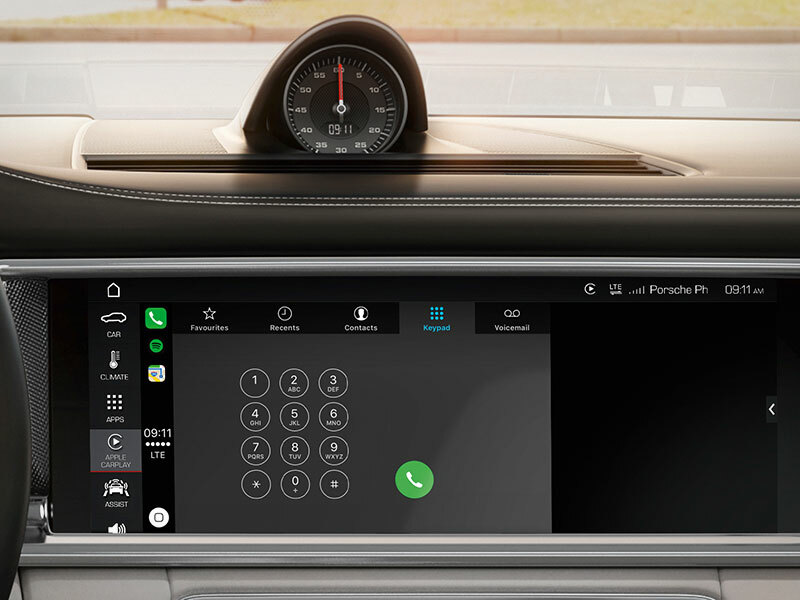 The Porsche Communication Management (PCM) version 4.0, as well as the equipment options Connect Plus and Sport Chrono Package are required to use the app. Set up an Internet connection in your Porsche. A data-enabled SIM card is required for this. Of course, you can use your own SIM card.